The historical complex of Villa Decius, a Renaissance palace of Alsatian diplomat Justus Ludwik Decjusz (also Jost Ludwig Dietz), who came to Krakow in 1508, housed a literary and cultural salon of Krakow since the second half of the 16th century. 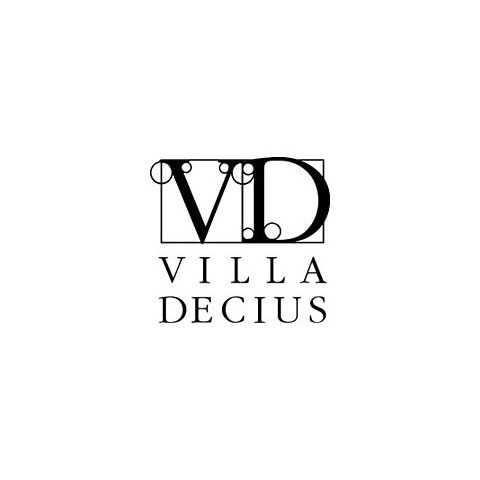 Today, the Villa Decius Association, established in 1995, operates here. It is a non-governmental organisation and cultural institution supporting, developing, and propagating art and literary activity, as well as international cultural and intellectual cooperation. At the heart of all the programmes of the Association lies the idea of meetings of representatives of various fields of science and culture, various nationalities and areas of interest; the idea of exchanging thoughts, and the promotion of pluralism and tolerance in public life. As a continuator of the ideas and activity of its founder and patron Justus Ludwik Decjusz, the Villa Decius Association creates a forum for exchanging thoughts and a space for searching for mutual inspirations for creative work. In the implementation of its programmes, it cooperates with national and international institutions that aim at developing vital values existing in regional cultures, supporting the processes of European integration, and propagating the humanist heritage of European civilisation. Writers and translators, but also social dialogue, European integration, the protection of cultural heritage, and human rights all have an important place in the Villa’s programmes. For ten years, the villa has been awarding the Polish Prize of Sérgio Vieira de Mello, the United Nations High Commissioner for Human Rights in 2002-2003, a prestigious distinction to individuals and non-governmental organisations for their activity for promoting the peaceful coexistence and cooperation of societies, religions, and cultures. It is here that the Visegrad Summer School – a two-week long series of trainings for young people from the countries of the Visegrad Group and Central-Eastern Europe – takes place. The aim of the project is to broaden knowledge about regional and global challenges, eliminate mutual stereotypes, and create bonds and friendly relations. Figures such as President of PEN International John Ralston Saul, pioneering anthropologist Fredrik Barth, independent intellectual Paul Berman, British historians Timothy Garton Ash and Norman Davies, and former Ambassador of Israel to Poland Shevah Weiss all have given speeches at Villa Decius. For more than 15 years, the association has organised scholarship stays for young writers and translators from Poland and abroad. The Łaski House – a historic outbuilding of Villa Decius – has hosted the most eminent Polish writers of the young generation, including: Dorota Masłowska, Michał Witkowski, Ignacy Karpowicz, Mariusz Sieniewicz, Mikołaj Łoziński, and Agnieszka Drotkiewicz. Currently, two scholarship programmes are carried out here. The first one is the Visegrad Literary Residencies, addressed to writers, poets, essayists, critics, literary translators, and journalists from the countries of the Visegrad Group. The second one involves Creative Scholarships for German writers and translators of literature from German into Polish and from Polish into German. Today, Villa Decius is a unique place of meetings and cooperation in Krakow, a witness to and participant of the radiation of European culture, as well as the operator of the International Cities of Refuge Network (ICORN) programme in Krakow.